87 in the heart of the Ohio Snow Belt. Purse money will be divided by % of entries between the Open class & All Siberian Classes and will pay through 5th place. Trophies will be award to 1st - 3rd place in each class. 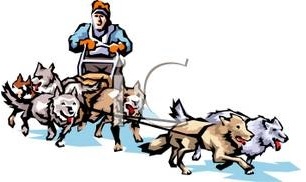 ENTRY FEES: $7.00 per dog Open and Siberian; $6.00 per dog Sportsman. Entries close at 6:00 PM on Friday Feb. 23, 2018. Late entries will be taken until 8:30 AM Sat. at 1.5 times the regular entry fee (2 dog class exception). DRIVER'S MEETING: 9:00 AM. Saturday, February 24, 2018. NO REFUNDS after numbers have been drawn, except in the case of race cancellation due to lack of snow. RACE REQUIREMENTS: Dog Bag, Brake, & Snow Hook required. No whips or clackers! MAKE CHECKS PAYABLE TO: S.H.C.G.C. Camper hookups are also available. SEND THIS FORM, with entry form and check made payable to S.H.C.G.C. E-mail entries will NOT be included in the 'draw' unless entry is paid in full! Park Accommodations: Punderson State Park offers a beautiful lodge (Manor House) for overnight stays or many rustic cottages that can sleep 8 - 10 people. Call the lodge for rates 440.564.9144 or 1.800.282.7275. TELEPHONE: 1.800.AT.A.PARK (282.7275) for rates, availability, and information. Double-click Entry Form, go up to "file" and "print"
Double-click Waiver Form, go up to "file" and "print"